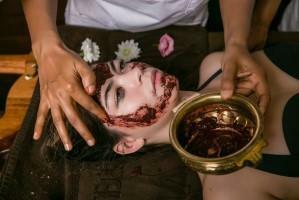 Ayurveda associates the skin type and skin problems with the three Doshas. Doshas are biological basis, vital energies in the body of the specific person. Through each one of these three energies are performed and controlled certain processes in the organism, which are responsible for its existence and development. Kapha – responsible for the liquids. The Doshas are in a unique equilibrium in every person, which is set before his birth. In this balance one or two of the Doshas are predominant, as this determines the Dosha type – for example, Vata or mixed type Pitta-Kapha, or Vata-Kapha and so on. even the suitable and unsuitable foods and also to which diseases the person is predisposed. When the balance of the Doshas is disturbed, in the body occur unnatural changes of the processes that run in the organism, and this causes diseases. Very often the skin problems – eczema, dermatitis, psoriasis, etc., are caused by an imbalance of Pitta dosha associated with the fire Agni responsible for the transformation and absorption of the substances. When the digestive fire Agni is not optimal, food residues remain in the digestive tract, which causes rotting and toxins release. The blood spreads these toxins into the body, which in turn causes inflammations, including skin inflammations. In fact, the skin problems are an indicator for intoxication of the organism. Vata causes less problems, but generally the skin is dry and begins to peel, so moisturizing is required. Kapha has less involvement in the skin problems, as they are associated with the excessive fluid retention and swellings. The skin of the people with Kapha dosha is moderately greasy and clean. 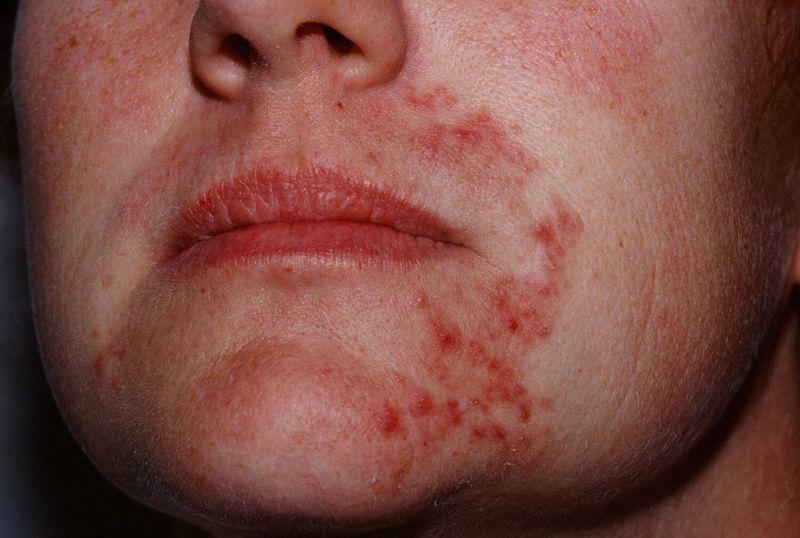 So the main reason for the skin problems is the improper nutrition, which causes accumulation of toxins. This includes consumption of too slaty, sour or spicy; oily or sweet food, alcohol. An essential reason is also the use of cosmetics that contain chemicals. Also the pollution of the air, the direct contact with detergents and other, affect the condition of the skin. In the treatment of skin problems, Ayurveda includes nutritional regimen according to the respective Dosha, natural oils pouring, herbal procedures -rubbing, herbal steam baths, internal consumption of herbal combinations, causing laxative effect and cleansing effect, yoga practices, and meditation. Many of the herbs are also spices to the dishes. In practice, this is a lifestyle, which is prescribed by the Ayurveda doctor, as he provides an individual model for each person after the diagnostics. If the fiery Pitta has gone out of balance of energies, then a cooling effect shall be applied. The food, for example, shouldn’t be hot, and the spicy flavors must be avoided. Suitable foods are the beans, diary products, cabbage – Brussels sprouts and cauliflower, celery, green leafy vegetables, oranges, mango, plums. The foods that should be avoided are red meat, garlic, tomatoes and bananas. The suitable oils, for example, are coconut oil and sunflower oil, which are combined with rose, gardenia, jasmine, chamomile and others. People of the Vata type have to consume food that is warm and slightly sweet, they need products, which contain starch – for example, cauliflower, zucchini. Also recommended are the grains, bananas, cherries and oranges. The spices that are recommended are dill, mustard, black pepper, cumin, cinnamon and other. The foods that are not recommended are peas and soy, raw vegetables, apples, which if consumed shall be sweet, calming and warm. The suitable oils are sesame, avocado or ricin, which are combined with essential oils such as jasmine, lavender, camphor, cinnamon, etc. For the people of Kapha type, the food shouldn’t be cold, it has to be intense, more bitter. Suitable foods are the wheat, brown rice, barley, oats, vegetables, fruits, excluding bananas. Beef and chicken, white rice, pineapples and figs are not recommended. The useful spices are basil, red and black pepper, pepper, ginger, dill and other. Among the oils that balance Kapha are Sassafras, basil, anise, birch and so on.